Margate Point, a 15-unit apartment development at Margate Road, is making their second attempt at a collective sale. JLL is the appointed sole marketing agent for the property. Located off Meyer Road and Mountbatten Road, Margate Point has a land area of about 12,800 sq ft and is zoned Residential with an allowable gross plot ratio (GPR) of 2.1 under the 2014 Master Plan. Margate Point may be redeveloped into a high-rise apartment project comprising a maximum of 24 units with an average size of 100 sqm per unit. Subject to approval from the authorities, Margate Point may also be suitable as a serviced residences or as a co-living development. If approved for serviced apartments, the new development is estimated to be able to accommodate some 50 to 60 rooms which could be rented for a minimum seven-day stay. Purchasers who wish to develop an entire building for co-living spaces or short-term accommodation should find Margate Point’s location, project size and price quantum attractive. The Katong location has been a traditional favourite amongst both locals and expatriates due to its proximity to East Coast Park and the beach. Located only 15 to 20 minutes from the Central Business District and Changi Airport, Margate Point enjoys excellent, unobstructed views across the vast Meyer Road and Goodman Road landed estate, right up to the low-rise residential areas in Joo Chiat. The upcoming Katong Park MRT station which is expected to be completed in 2023, is approximately 400 metres away. The owners of Margate Point are in the process of lowering their original reserve price of $38 million to $36.5 million. So far around 70 per cent of the owners have consented in writing to the reduced price. The Collective Sale Committee is optimistic that should an offer be received for the property, they stand good chance of securing unanimous owners’ consent to the sale. Margate Point’s lowered reserve price of S$36.5 million translates to a land rate of approximately $1,362 per sq ft per plot ratio (psf ppr) for a redevelopment up to GPR 2.1, i.e. before any bonus gross floor area for balconies, a reasonable land rate vis-à-vis the transacted prices and asking prices of other land parcels in the vicinity. The tender for Margate Point closes on Monday, 11 March 2019, at 2.30pm. Whatever decisions owners facing en bloc sale make, it is better to make it fast so that the sale (or non-sale) can be concluded with minimal delay and maximum benefit to the owners. One way he said was to conduct a Collective Sales Agreement (CSA) as well as concurrently collect a “Non Collective Sales Agreement (NCSA)”, so that once a NCSA reaches 20%, the collective sale process is called off. There is really no point to drag on. 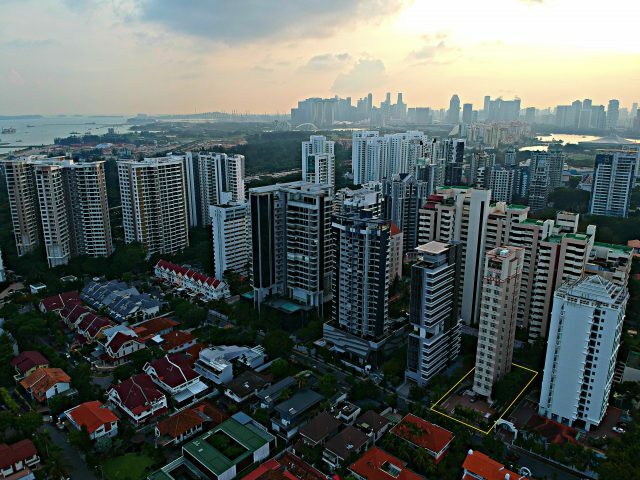 Chief mortgage consultant of iCompareLoan, Paul Ho, pointed out that the rules for en bloc sale are quite onerous and stringent and is governed by the Land Titles (Strata) Act – section 84A. Over the years, additions and amendments by the Ministry of Law to the en bloc law have made the collective sale rules even tighter.